First seen around 2000, Distributed Denial-of-Service (DDoS) attacks are a serious threat to businesses around the world. Attackers use multiple hosts to swamp targets with bogus traffic, paralyzing the network and potentially costing the victims millions of dollars. There are many security systems for preventing DDoS attacks – and they all need to be thoroughly tested and verified prior to being activated. 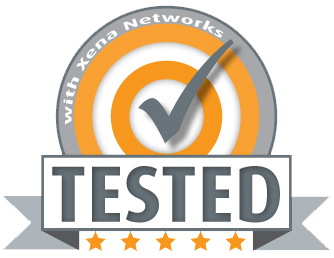 Xena offers a complete test solution for DDoS mitigation and network security with high-performance products and ample features. Going beyond generating DDoS traffic, Xena’s solutions can help companies test their security products and operators test networks and detect flaws, thereby ensuring business continuity and preserve business integrity.